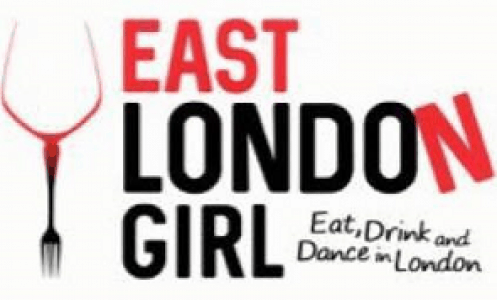 Looking for a vegan restaurant in East London? 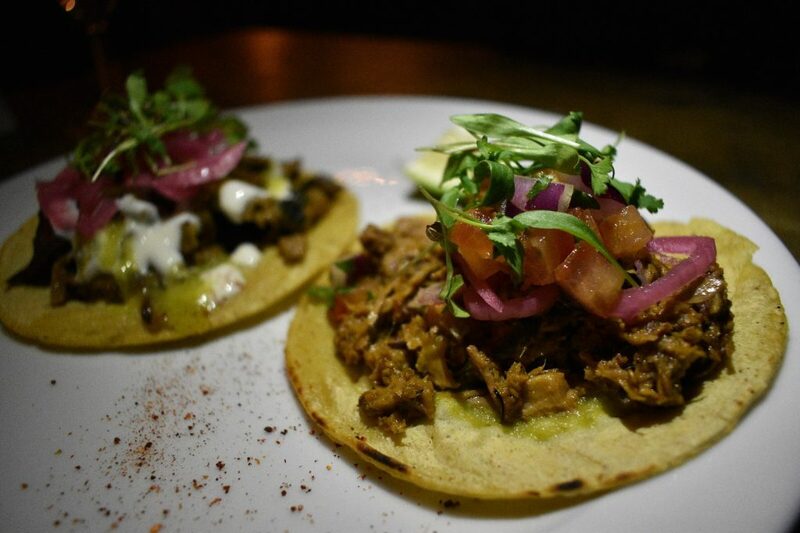 Club Mexicana is an all vegan Mexican street food stall that trades in Camden and Shoreditch. 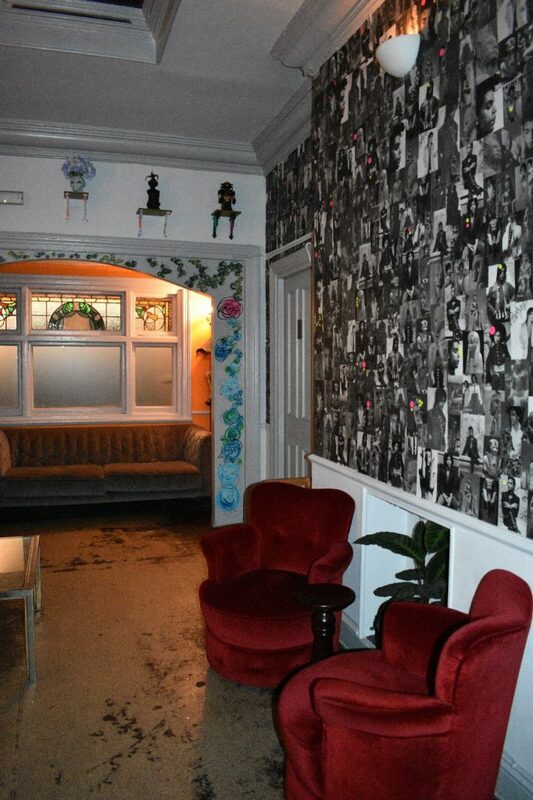 It now has a residency (from Thursday to Sunday) in the Spread Eagle in Homerton which became London’s first entirely vegan pub in January this year! 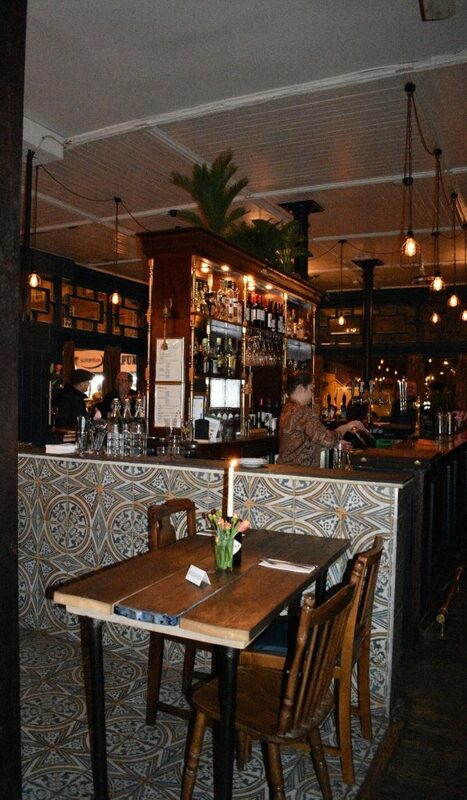 The Spread Eagle is a gorgeous pub – the bar sits in the middle and the decor is very quirky with beautiful artwork mixing with a day of the dead type shrine but it really works. When we visited it was busy but not overcrowded and had a great atmosphere. The music was right up our street too and we felt relaxed and comfortable there. Oh wow the food – a vegans dream! We started with some tacos, the Carnitas: jackfruit in mojo de ajo with pico de gallo & salsa verde and Carne Asada: marinated seitan, pink onions, salsa verde, arbol chilli sauce & coriander. Both were so delicious and full of flavour! This was followed by the Deep Fried Cheeze, the Chick’n Wings and the Chorizo Quesadilla. 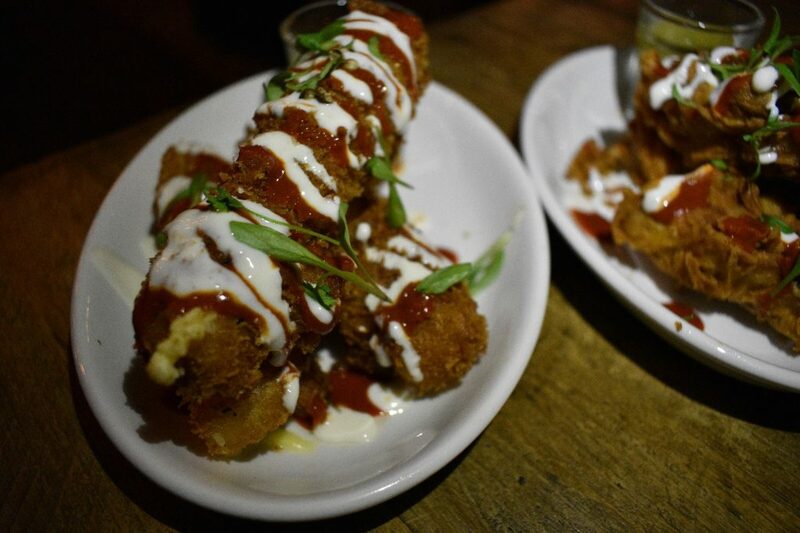 The deep fried cheeze was delicious, filled with luscious vegan cheese which oozed out of its fried casing it was indulgent and gorgeous. The chick’n wings were crispy and herby and went great with the salsa verde. 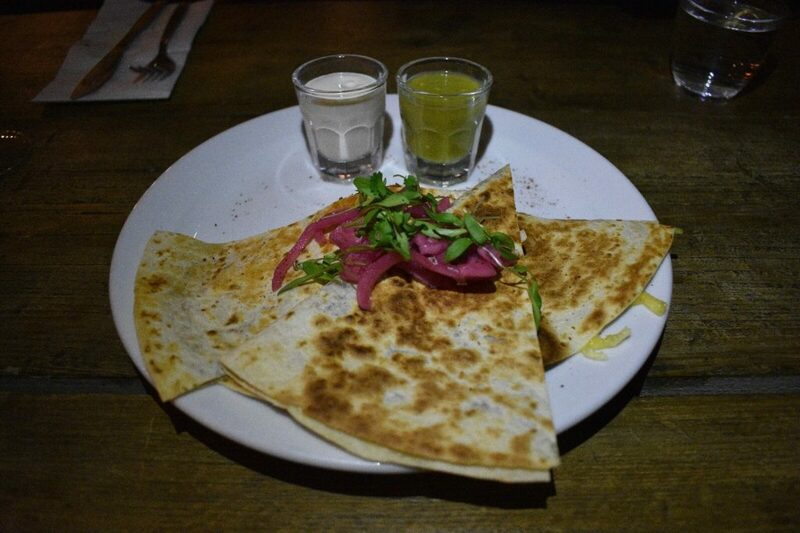 The quesadilla was really flavoursome and packed an almighty punch! It was too much for my wimpy mouth but it did taste great. 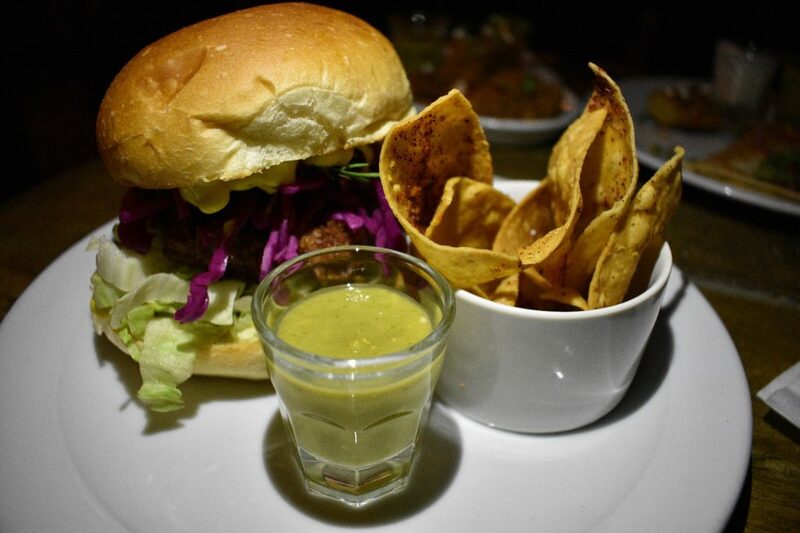 Then we tried the burger to end all burgers – The MFC (Mexican Fried Chicken): Mexico City’s answer to the fried chicken burger, annatto glazed fried chick’n with mustard mayo, pickled cabbage & dill. Oh my gosh…this burger was heavenly, with crispy fried chick’n topped with the pickled cabbage and dill it was a taste sensation – I could eat it every day until I die! The Spread Eagle serves up delicious lagers and ales to match the food but true to myself I stuck to prosecco! My friend tried a lovely Camden Hells lager when the Quesadilla got too much for her and she really enjoyed it. 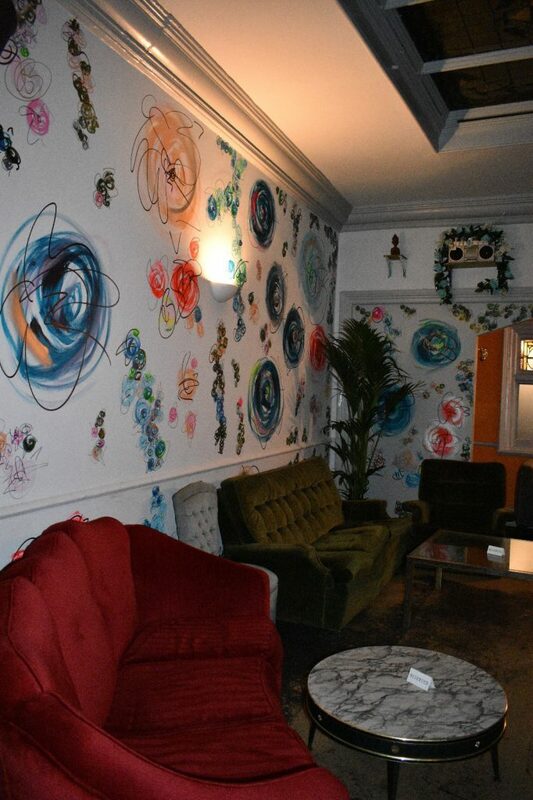 I will be back – an amazing vegan restaurant in East London with fun staff and incredible food. I can’t sing their praises enough!